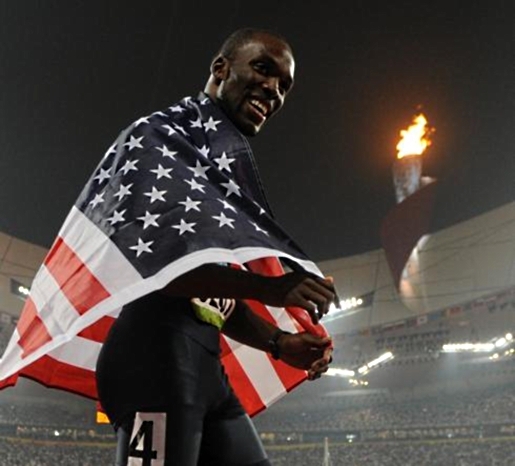 LaShawn Merritt is the reigning 400-meter champion, having won the gold medal at the 2008 Beijing Olympics and the 2009 World Championships in Berlin. He’s also suffering extreme humiliation, thanks in no small part to an issue related to his failed drug tests. The three positive tests Merritt has been nailed with means he was facing a 24-month suspension, so he had to admit to what caused his drug test failures. Merritt wasn’t taking performance-enhancement drugs, he was taking male-enhancement drugs. That’s right, an Olympian disgraced himself by taking ExtenZe, an over-the-counter drug designed to embiggen that special something something. So Merritt’s choice was to either admit that he needed a little help filling out his track suit or miss next year’s world championships. Merritt sacrificed his pride for his sport, owning up to his use of the legal herbal supplement. At least it’s believable; moreso than tainted meat or drinking lots of whiskey the night before a race, anyway. If you were wearing pants that tight, you’d want a little help, too. Plus, when Merritt retires from track, he can get an endorsement deal!